With innovation and technology, Best Web Solution brings a perfect completion to modern mobile application development for all mobile platforms to cater high-tech professional approach for your growing business. Best Web Solution is a preeminent Android, Apple mobile Application development company that contributes best mobile apps development service to the renowned businesses across the world. We are a full service Android and iPhone apps development service provider and cherish satisfactory feedback from our large clientele. Of late all business has high demand for developing a personal mobile application in order to make customer-friendly approach to the clients. We design high-end, user-friendly and highly technical android and iPhone apps that offer you smart business operation and customer relationship management facility. We provide our clients end-to-end Android and iPhone apps development services that include customized features based on the latest market trend. We offer plethora of services on Apps development that are technically loaded, advanced and receptive in form. We have expertise knowledge and proven methodologies which helps you in getting top-notch quality mobile application development service for your enterprise. Best Web Solution designs and develops professional website that not only looks spectacular but also, bring prospective customers and even help convert online visitors into paying customers. 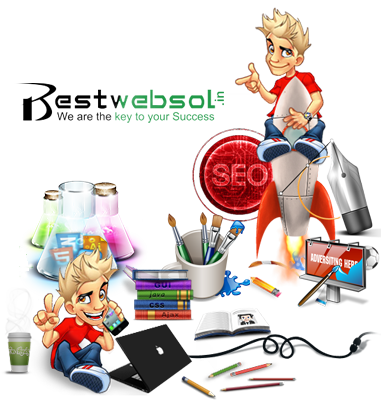 All our websites are SEO optimized in exchange for high ranking and excessive traffic. What's Our Unique Selling Proposition? We develop apps for different types of domain. Our programmers are highly experienced and technically expert. We mobile apps offer customer relationship management benefits. We offer customized mobile apps development service. We make use of multiple android development tools. We provide highly experienced and talented mobile apps developer. We offer client centric approach. We make use of latest technology. We develop pixel perfect mobile application. Our apps development service will help you kick start your business globally and please your potential customers with the technically advanced android and iPhone mobile apps. So, reach us now and place your order so that we may communicate to you in no time. Project Analysis: Our programmer teams will understand your project and based on it set guidelines and requirements for the project. Content Creation: We create and gather all contents like text, image and assets to obtain an appropriate database. Wireframe Development: We develop a clear mock up of your apps in a clear black and white depiction that involves arranging the text, image and the overall design of your mobile apps. Mobile Apps Design: We create eye-catching and alluring design mobile apps with unique graphics and fonts. Apps Development And Integration: We develop and integrate high quality mobile apps and connect to any database and perform testing several times ahead of project delivery.